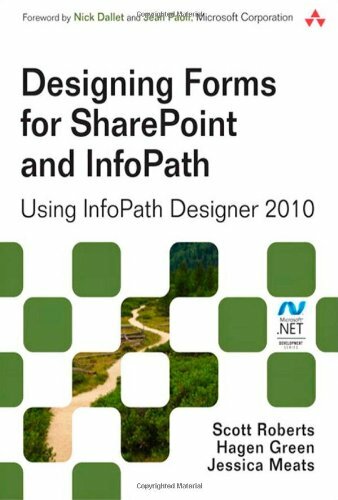 Together, InfoPath 2010 and Microsoft SharePoint Designer 2010 make it possible to create end-to-end solutions that combine powerful forms, enterprise-scale workflow, and access to key business data. Now, building on the valuable content from their previous InfoPath book, three Microsoft experts offer a complete introduction to building the forms that drive these solutions. Designing Forms for SharePoint and InfoPath combines deep knowledge of InfoPath, new insights into SharePoint development, and an insider’s view of new InfoPath features for building more powerful SharePoint applications. Ideal for information workers, power users, and experienced form designers and developers, this book teaches new techniques through downloadable examples, including form templates, code, and XML. You’ll start with a complete hands-on primer for designing rich forms with InfoPath Designer, covering Forms Services, data retrieval and submission, controls, customization, saving, publishing, and workflow. Next, you’ll turn to advanced form design, including coding, the InfoPath object model, and InfoPath hosting options.